Weight: 0.68 oz. 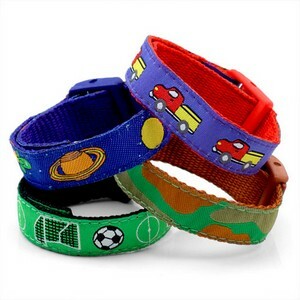 / 20 g.
This selection of polyester and nylon sport straps comes with four straps for boys. Each strap easily fits by sliding the extra length through the snap-lock clasp and tucks inside against the wrist.